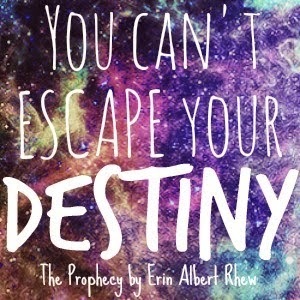 I love this blog post, Erin. Currently I'm sitting here looking at no less that 1/2 dozen pictures of us hanging on the walls and gracing the tables, and that's just in this one room. This is a symbol of us, a representation of what we mean to each other. Part of what made "us" possible is that we are willing to put "us" first--we both value each other and want to give to the other. It has taken a very long time for me to get used to someone that cares and puts out the effort, but I love it. I've waited my whole life for a two way street. I've waited my whole life...for you. I love you with all my heart and hope that I can return even a fraction of what you give me. Oh, love! I have never felt as valued, as cherished, and as unconditionally loved as you make me feel. You are THE most giving man I've ever encountered. The Percy Jackson lover that I am, you always say you'd walk through the rivers of Hades for me, and I believe you would. I know you are that committed and that willing to put the effort in to us--now and through all our years together. I've waited my whole life for you. I dreamed of a man like you but never thought I'd find one. And then you came into my life, and my dreams manifested right before my very eyes! I love you with all that I am, and I'll try to keep up with your awesomeness! Girl, YES, YES, YES!!!! We are in total agreement with you. The message we spread is "know thyself." Funny story: When Deek and I met, we both had lists--the "deal breaker" list. We went down the list: "I won't do this," "I don't tolerate that," "I need this," etc. Lo and behold, they matched. But without knowing ourselves, we wouldn't have been able to do that, to stand up for what we need and to set boundaries for what we won't tolerate. I think all couples should do that. It's not "romantic," but it's so important. Excellent, excellent addition to the conversation, Meradeth!! Thank you! Oh Meradeth, you're speaking my language doll. I was with the love of my life for 6+ years, only ending things because I wanted to get married* and he didn't. After the breakup, I was a psycho-man-hunter, looking for anything and anyone to be a companion. I was terrified to be alone, and so I was avoiding dealing with my own problems by being with someone else (this is a theme that I use in one of my WIPs which is really hard to write). It wasn't until I got my heart truly broken - again - that I finally faced my fears and realized that I needed to spend some time with myself. Fast forward to almost 6 months later, and I realize that *I only wanted to get married because it was the thing to do, and not because it's something I wanted. Not only that, but doing the "things to do" extended to almost every aspect of my life - my job, my life, everything. Now, I'm quitting my job, going all-in with publishing, and to be honest, I'm not actually interested in sharing my life with anyone at the moment. I am being supremely selfish for the first time in my life, and I couldn't be happier. My hope is that when I'm ready to let someone else in my life, I'll be able to find someone as awesome as y'alls hubs.